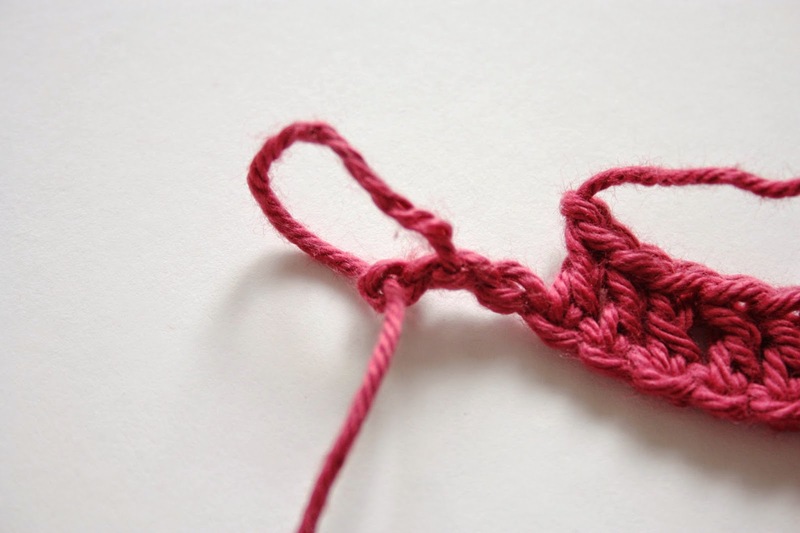 As a beginner, one of the biggest stumbling blocks to getting into the swing of crochet can be the very first step, working into the starting chain. 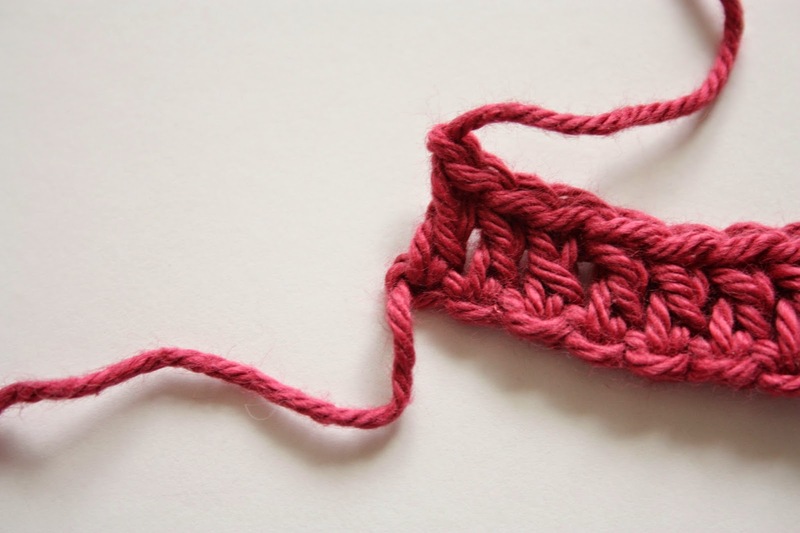 That's why people starting out begin with a classic granny or solid granny square, no trying to force your hook into those awkward chains. 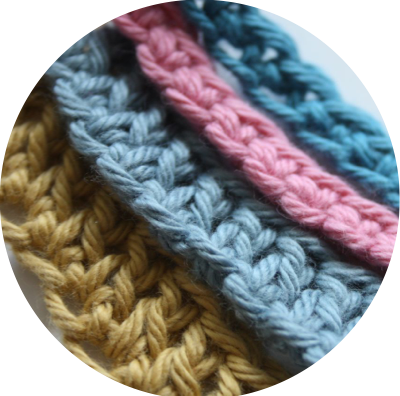 Even as a seasoned crocheter working that first row can be an unpleasant task, a sort of hurdle that needs to be climbed before the more agreeable business of the rest of the crochet can begin. So naturally, I'm always on the look out for ways to avoid the dreaded first chain blues and over the years I've managed to come with and stumble across some pretty useful methods. Below I'm going to talk about the ways I make this trying task a little easier, but don't forget you can eliminate that starting chain completely if you want to try your hand at Foundationless Chains. Let's first look at the technique you use to work into the chain. 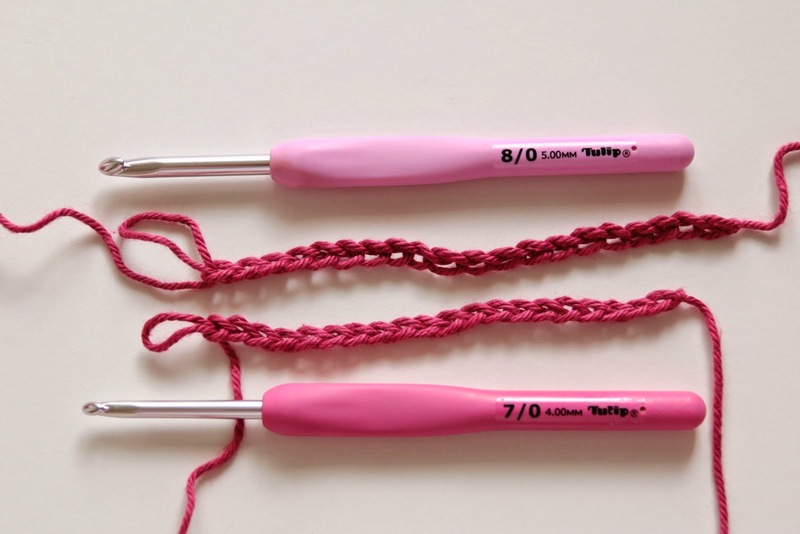 The conventional way would be to try and push the tip of the head of your crochet hook into the chain, which as you know, isn't always simple. 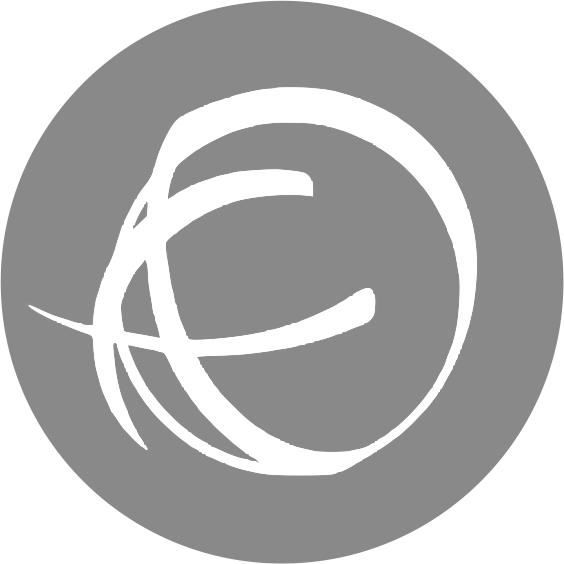 You can just use your hook to lift and work into just one of the loops, but that gives quite a loops and baggy look to the bottom, which I personally don't like. So, this is the my preferred method and the way I find easiest. Roll the chain slightly in your fingers so that the back loop of the chain is showing. 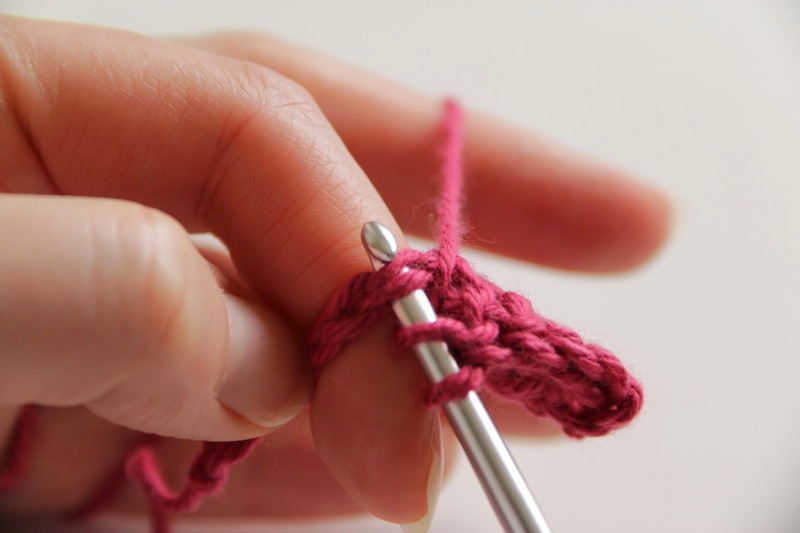 Then, using the hook part of your crochet hook, rather than the tip of the head, pull that back loop out a little. You want to be pulling down, away from the chain with your hook, enough so that you can get the head of the hook into that back loop. Once you have the head of the hook in, you roll the starting chain back over with your fingers to the right way up again, keeping the hook in the back loop. The head of the hook should pass under the chain so you end up with the 2 loops of the chain lying on top of the hook and the back loop of the chain lying under the hook, as normal. Give it a little try, it's easier than it sounds and it's a slight adjustment to your normal technique which means you'll be making lighter work of those starting chains in no time. While we're talking about the back loop of chains, this is a rather nifty way of working the first row which leaves a very neat start and is brilliant for times when you know you'll be working into the starting chain again. Like when making a border on a blanket for example. Instead of working your stitch over the top of the chains as normal, for this technique you turn the chain over completely and working into the back loops only. 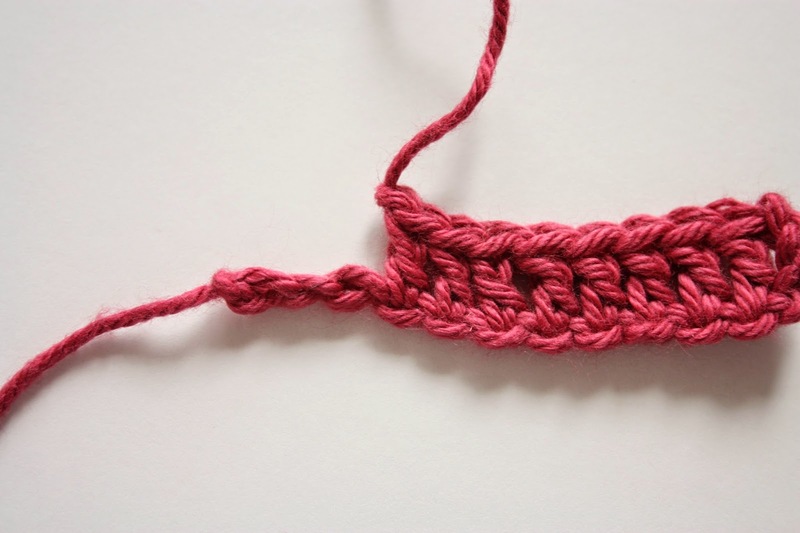 Not only is working into 1 loop easier than 2, in means that the bottom of you first row will have a beautiful line of the top of the chain showing, which resembles the top of the stitches themselves. It looks incredibly neat and makes it very easy to work into when you come back to it later. Using the tips above do help make the job easier, but there's more we can do to sooth away the stress of the starting chain. So tip number three is 'use a bigger hook'. A simple and often over-looked way to make the chains easy to work into is to just make them bigger. Generally I like to go up about 2 hook sizes but you can experiment with this to get the look and feel you want. 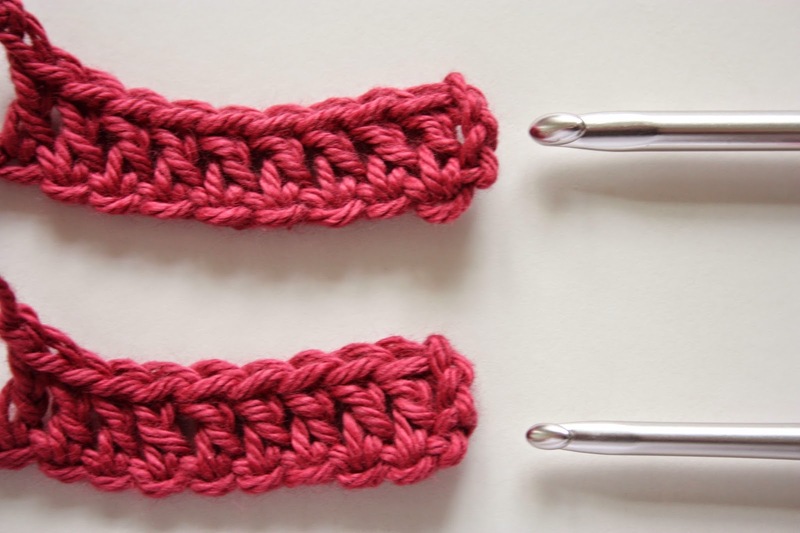 So if the pattern or yarn states you should be using a 4mm (G) hook, I'd making the starting chain with a 5mm (H) hook and then switch back to the recommend hook size to make the first row of stitches. This close up shows that the chains made with the larger hook (on the right) are bigger and so will be easier to work into to. 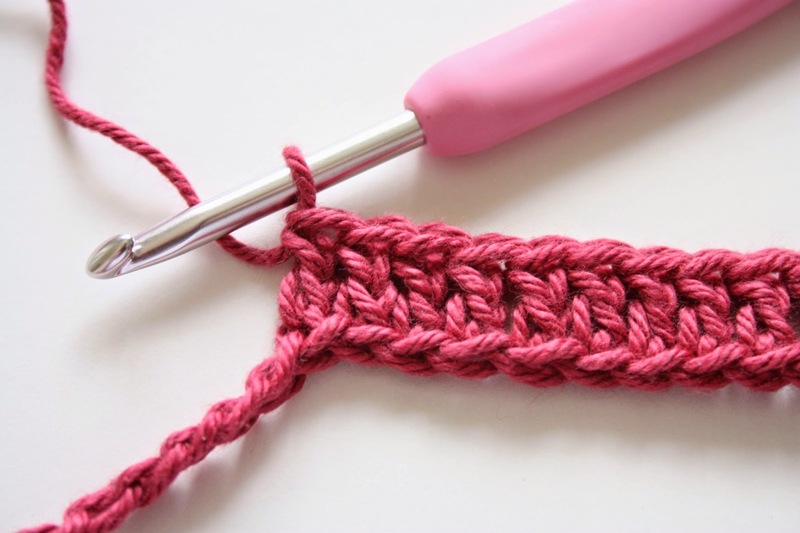 This technique has the added benefit of loosing up the first row of stitches too, so if you've ever suffered from the problem of a too tight first row, and crochet that flares out like a fan, then this is great for you too. 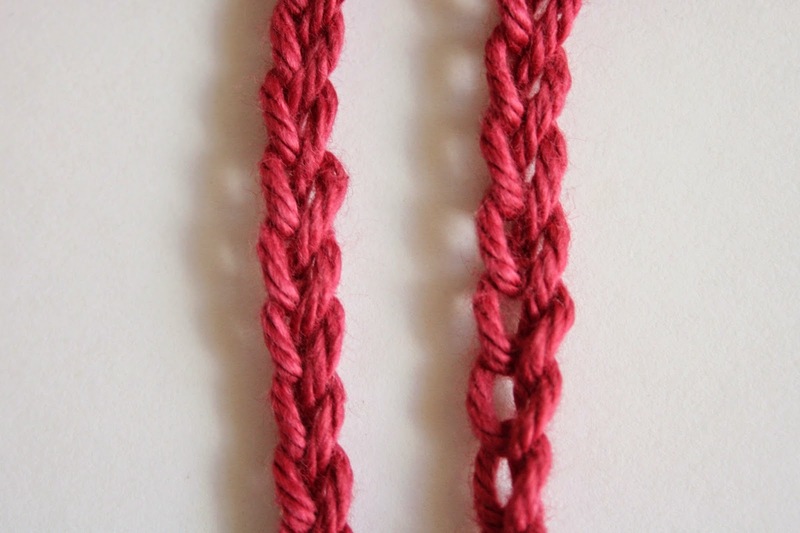 Here's a sample of a chain made with the larger hook (top) and with the smaller hook (bottom). Both nice and neat but top one was so much easier to do! 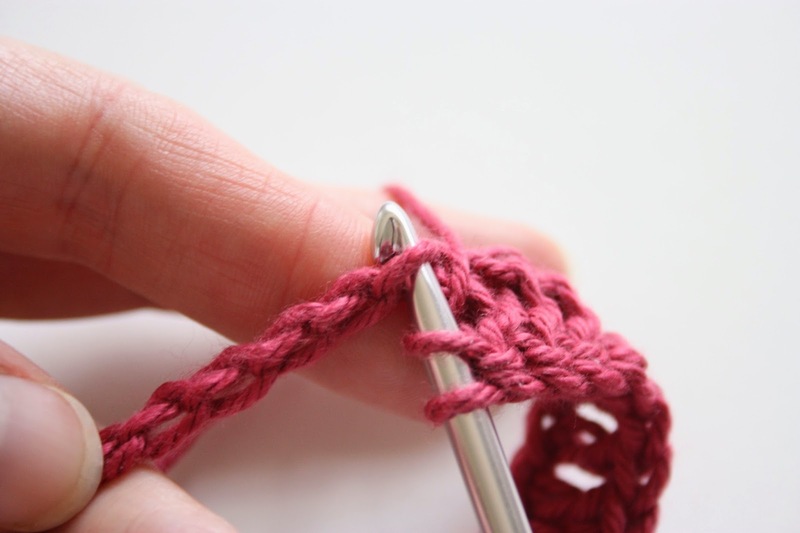 This is one of my absolute favourite tips and although it doesn't make working into the chains itself easier per se, it does take a lot of the anxious trepidation out of those starting chains, where you know you need the exact right number for the stitch pattern to work out right. Basically all you do is make more chains than you need. You know how it is with those really long starting chains for blankets, you count and re-count but it's still a little tense until you know for sure and there's no way you want to find out you're wrong and make those 200 odd starting stitches again. So, to avoid all that, make the number of stitches you need but then, add a few more. I normally add 5 or 6 more. Sometimes 10 or so if it's a really long chain and I want to be sure. 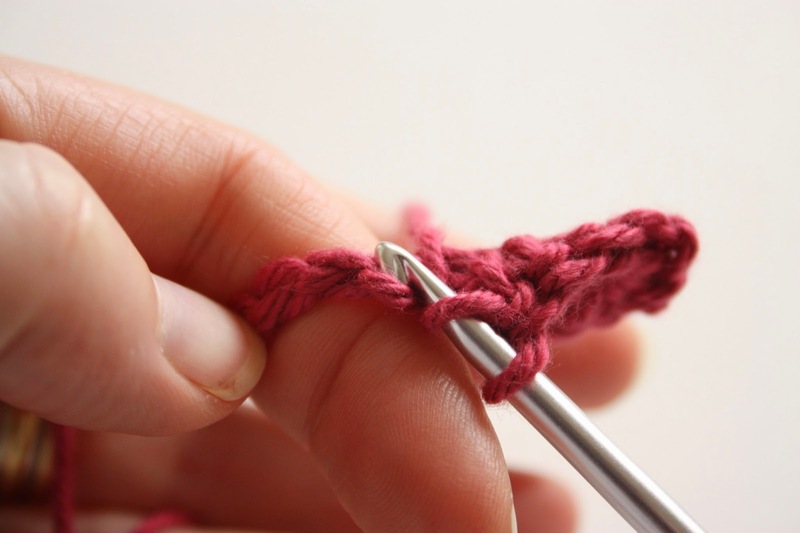 Then go on and work your first work of stitches as normal and when you get to the end, you should have some left over. If you've counted right you'll have the exact number you added on and if you didn't maybe that will have changed but phew, you had those extra chains ready so that's a relief! Once you've completed the row all you need to do is unravel the extra chains. This is a little bit fiddly, but still way better than re-doing a whole row! Un-pick the slip knot first. Then, one by one, pull out the extra chains. 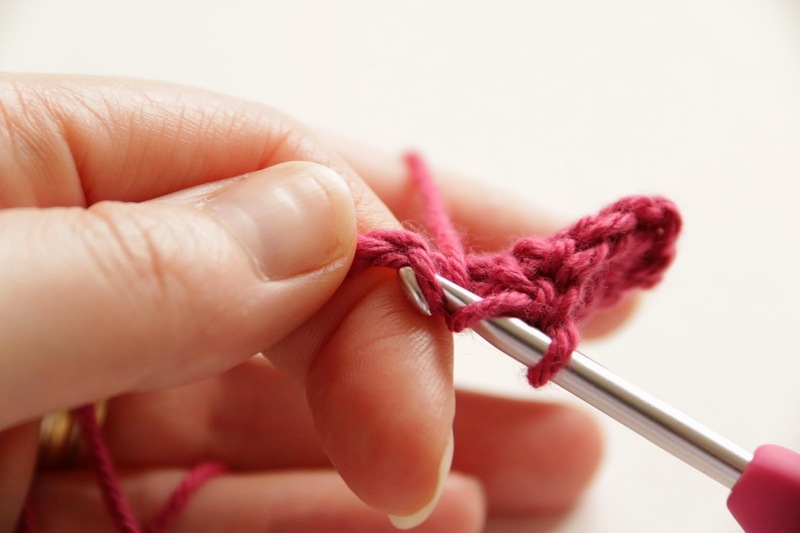 Go carefully as you get close to the end of the row, you don't want to pull out the chain your last stitch is in. 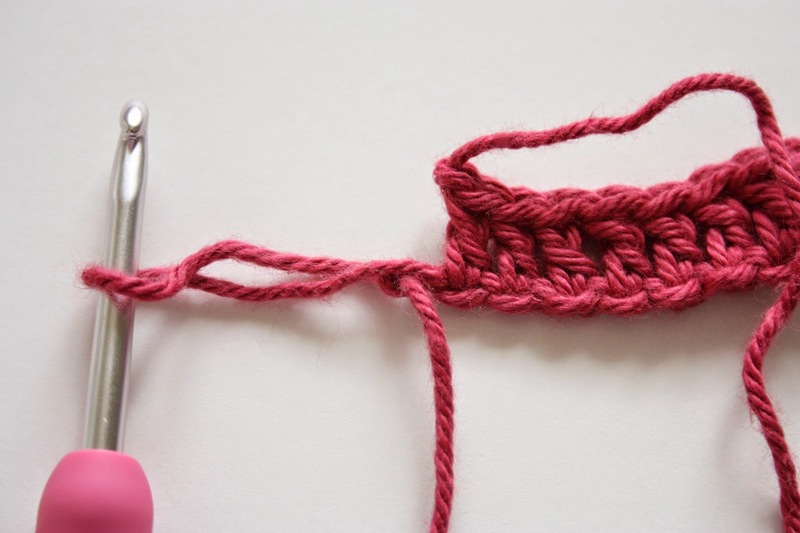 Once you've removed all the extra chains, just pull the yarn end to tighten it up again and you're all done. 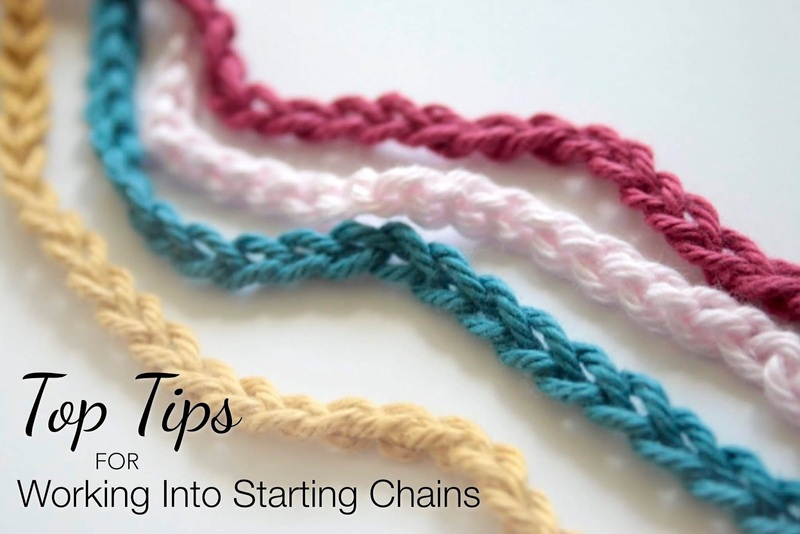 Armed with these tips, I'm hoping that starting chains will become a little less of a chore and you'll be whizzing your way through them in no time. And remember, if you still really can't stand that first row, have a look at how to make stitches without using a starting chain at all. Yes, it can be done!